Last Wednesday I set another personal record. The last one I mentioned was doing two walk throughs at two different WCAB district offices in the same morning. Wednesday I had to be in Novato, San Francisco, and then back at my office in Pleasant Hill. 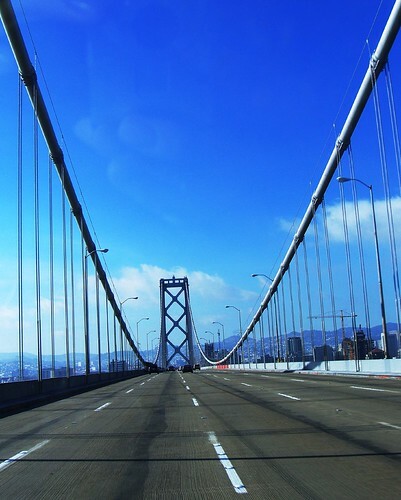 As a result, I traveled over three bridges in the same morning – San Rafael, Golden Gate, and Bay Bridges. I guess paying $10.00 in bridge tolls in one day is also a record…1 I was all out of singles so the CHP officer at the Golden Gate Bridge gave me the stink-eye when I paid with a $100.00 bill. Seriously, that guy was NOT happy. The officers at the Oakland Board are a lot friendlier.